We offer every type of building sign you can imagine, for office walls, doors, restrooms and interiors. 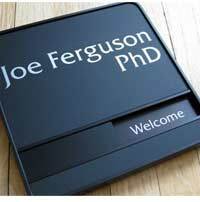 If you need custom office signs or sign design, please request a digital sign proof before or after you order. We offer fast proof turnaround times for our digital sign proofs. You'll see your sign project come to life within 24 hours - and often much quicker. 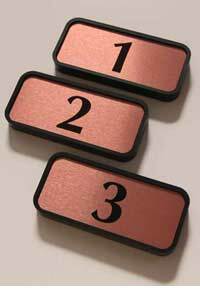 We have a large selection of full color name badges and metal name badges - in any shape or size you need. 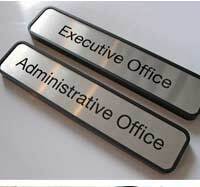 Call us today at (701) 526-3835 - Custom office signs, name plates and the best name badges you will ever find.